Jewelry There are 6 products. 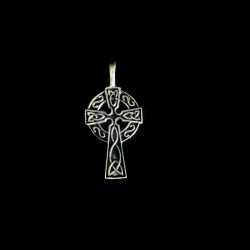 Enjoy a wee bit of the grandeur of ancient Celtic cross carving when you wear this Sterling Silver Celtic High Cross pendant! 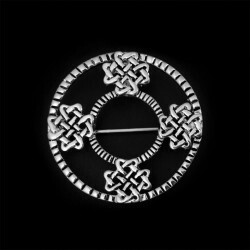 Braids of Celtic knotwork flow like lace evenly over the cross, which features the distinctive circle present in many of the ancient High Crosses. Simply elegant! 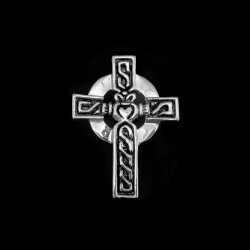 Our Pewter Celtic Love Knot Pin/Pendant features four love knot designs at North, South, East, and West, so your heart is covered in all directions! 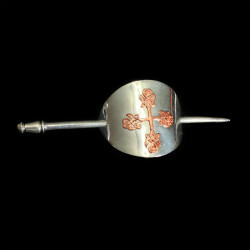 Inner and outer circles also take on a symbolic significance in this classic openwork pin. The Claddagh is a traditional Celtic symbol given which represents love, loyalty, and friendship (the hands represent friendship, the heart represents love, and the crown represents loyalty). Perfect as a gift for someone special or for yourself. 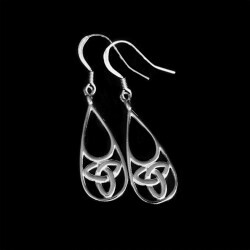 The triquetra, also known as a "trinity knot" is believed to represent the three promises of a relationship such as to love, honor, and protect. 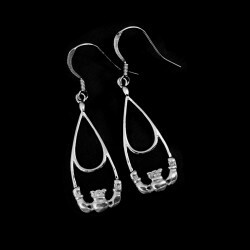 These lovely, stainless steel earrings are a perfect gift for that someone special.